Of all the so-called “health foods”, soy is one of the most controversial. There are the camps which proclaim that soy is a superfood which can do amazing things like kill cancer cells. Then there are the camps which cite evidence that soy can disrupt your hormones and cause infertility. With all this contending information, what is the real truth about soy’s health status? Soy is one of the main components of the vegetarian diet. However, it isn’t just vegetarians who eat soy. Soy makes up 10 percent of calories in the US diet and is in 60% of processed foods – but most people aren’t even aware of just how much soy they are eating. Eating soy products doesn’t guarantee that you will get these benefits, but there is ample evidence to link soy consumption to these health benefits. As I talk about in my post about soy myths, there is no scientific basis for claiming that soy disrupts hormones (or causes hormonal problems like breast growth in men or infertility in men). Soy isoflavones can have an effect on estrogen receptors, which is why soy is commonly recommended for treating symptoms of menopause. But here is where the anti-soy advocates get it wrong. They neglect to mention that there is more than one type of estrogen receptor in the body. Soy does not have any effect on the estrogen receptors which would cause problems like smaller testicles or reducing testosterone levels (source). In a meta analysis of 50 treatment groups, researchers found that soy did not cause reduced testosterone levels. No study has ever found that soy causes reduced fertility, even when soy is given to infants (source). Soy does contain antinutrients which can block the absorption of certain nutrients. However, soy doesn’t block more than it contains. So, this just means you won’t be getting as much calcium or zinc from your soy as you thought — NOT that you will be losing nutrients from your body. The one area where soy might be particularly worrisome is for thyroid function. Soy contains a phytoestrogen called genistein which may suppress thyroid function by interfering with iodine uptake. Eat fortified salt or seaweed to ensure you are getting enough iodine. Should You Eat Soy or Not? As a consumer, it is important to be well informed about what you put into your body. However, you’ve also got to take a step back to be sure you aren’t getting drawn in by hype (or going crazy by trying to figure out what all that data means). There are literally thousands of “reputable” studies about soy. For each study that shows soy is beneficial, there is a contending study which shows that it is harmful. And, each time a new study is released, there is a health guru who is ready to start a bandwagon for or against soy. Just look to Dr. Mercola, the Weston A. Price Institute, or the FDA as examples of extreme opinions for or against soy. These health gurus may stake their opinions based on “scientific fact”, but their opinions are almost always blown out of proportion. For example, when Mercola reports that male infants experience a “testosterone surge” from drinking soy-based formula, they fail to mention that the only long-term, large study on humans about the issue found that there were no significant health differences between men and women who had consumed soy versus milk formula. These gurus will also often use completely unrelated studies to back up their theories, such as Mercola stating the fact that US girls are entering puberty earlier. Yes, this could be due to the phytoestrogens in soy – but couldn’t it also be due to other factors like the hormones which enter our bodies through animal products? I’m not trying to bash Mercola. The doctor certainly has some good advice. But Mercola is a good example of how health gurus often build their brands through fear mongering. If you are really adamant about learning the facts about the pros and cons of soy, then I suggest you read the 245-page report by the Agency for Healthcare Research and Quality called Effects of Soy on Health Outcomes. They screened almost 4,800 abstracts and 599 full-text articles about soy. They narrowed these down and ultimately analyzed the results from 178 studies. A wide variety of soy products and formulations have been investigated for a large number of conditions. However, a large proportion of the studies suffer from poor reporting or study design, limiting conclusions. They ultimately conclude that soy does have a small effect at lowering LDL cholesterol and triglycerides, and soy products may reduce symptoms of menopause. As for all the other health claims about soy, the analysis found that soy does not seem to have an effect (positive or negative) on blood pressure, lipid oxidation, inflammation, thyroid function, hormone stimulation, menstrual cycle length, bone markers, or cancer. If we were just eating soy in its natural form or as organic soy milk or tofu, we wouldn’t really need to be too concerned with potential health benefits or risks. However, most of us are consuming soy in a form which really could be detrimental to our health. A vast majority (about 90%) of soy grown in the US is genetically modified. Genetically modified soy is linked to a slew of problems like liver impairment, infertility, allergies, and birth defects. 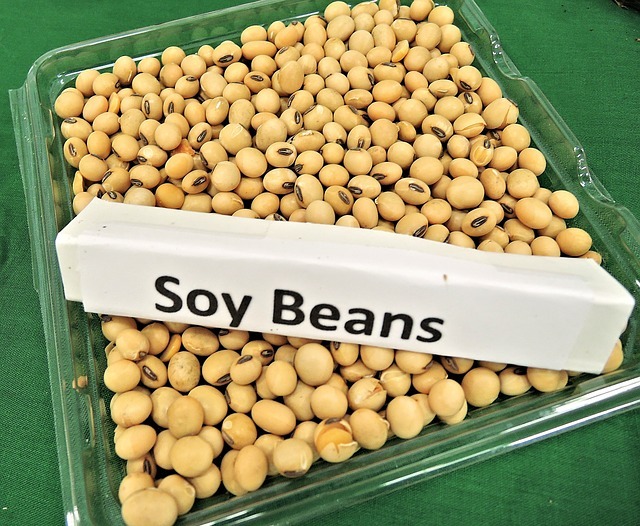 And then there is the fact that most soy is given to us in a very processed form, like as hydrolyzed soy protein which has been cooked in hexane. If you care about your health, you should avoid these forms of soy. Better yet, avoid all processed foods while you are at it! 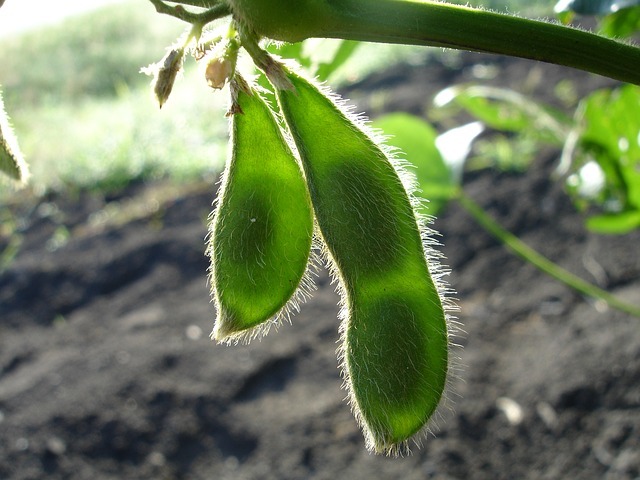 Soy beans in their natural form are a far cry from the processed soy we eat. Eat soy products in moderation: Don’t just rely on soy products. Eat beans and legumes instead of just tofu and mock meats. Switch to rice or almond milk instead of soy. Opt for Fermented Soy Products Whenever Possible: Fermentation kills the anti-nutrients in soy. Fermented products also contain important nutrients like vitamin K2. Learn the health benefits of fermentation here and what is vitamin K2. Avoid Processed Soy: Those soy dogs, soy cheeses, and soy ice creams can make the transition to going veg easier, but they shouldn’t be the staple of your diet. They contain harmful forms of soy like hydrolyzed vegetable protein. Avoid them as much as possible or opt for the few brands which actually make healthy vegan foods, like Tofurky.